When the Sun moves through the sign Aquarius, it affects all of us—even those who aren’t Aquarians. During this time of year, which lasts from about January 21 through February 19, the Sun shines a spotlight on all things Aquarius. 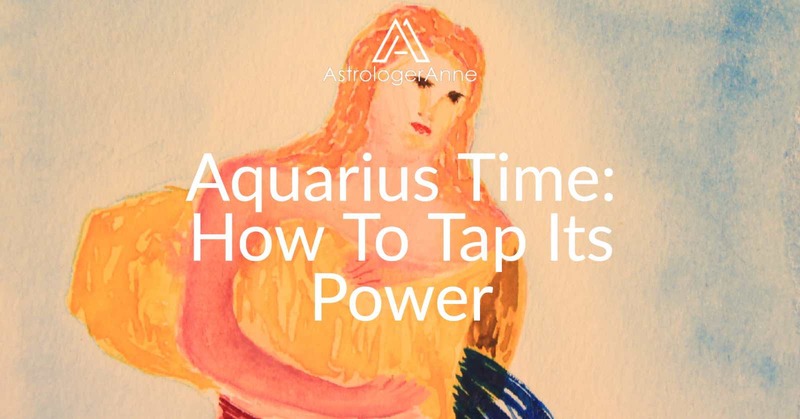 Also, because everyone has Aquarius somewhere in their birth charts, this time of year lights up that special area and pushes us to pay attention to the sign of the Water Bearer. Our job is to bring out this sign’s best energies, wherever it appears in our charts. The Aquarian focus during Aquarius time calls us to reflect on how the Water Bearer’s influence manifests in our lives. For example, Aquarius rules technology—especially computers—so we have a tremendous opportunity now to evaluate the tools we use to communicate, both as individuals and globally. To make the most of this, however, we must raise our sights to the spiritual realm and work to make technology serve Aquarius’s noble ideals of brotherhood, personal freedom, and innovation. Aquarius rules electricity, making this a good time to evaluate all the appliances, entertainment devices, and gadgets we use and to make changes if necessary to ensure they serve us well and support our highest good. For example, eliminating certain items or creating a new habit of unplugging anything not in use can save us money, streamline our lives, and eliminate unnecessary electrical fields from our everyday environment. Aquarius also rules electricity on the spiritual level, which comes to us in the form of sudden awakenings or flashes of brilliance—just as lightning flashes on the physical plane during an electrical storm. 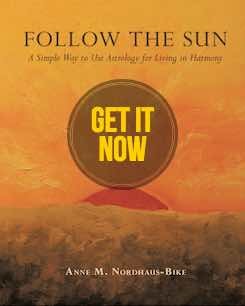 We can harness this heavenly power and direct it toward noble ends thanks to our bodies, which operate as individual electromagnetic power plants. We can make the most of this opportunity by making it easy for spiritual electricity to reach us and by grounding it when it does arrive. Spending time alone each day, in silence, and away from all technology, offers the surest means to success. A solitary walk in nature, a period of meditation, or unstructured time enjoying a hobby increases the odds that inspiration will pay a visit. When inner lightning does strike, we need to ground it by giving it a healthy body that can absorb the energy and do something constructive with it. That means nourishing the physical self with nutritious, homemade food and doing an enjoyable physical activity in moderation on a regular basis. It also requires exceptional attention to getting deep and restful sleep each night and allowing time for extra rest during the day (or at least quiet relaxation), as electricity taxes the nervous system. Finally, when good ideas present themselves, we need to get them down on paper immediately or risk losing them. Keeping a blank notebook at hand provides a simple way to record ideas and makes it easy to review them later. Over time, personal reflection will reveal how and when to act on these nuggets of wisdom, and prayer or meditation will allow the inner self to give thanks and to receive even more flashes of heavenly power. To find out more about Aquarius, see my article about Aquarius Time: Awaken To Inner Wisdom. Attune with this electrifying sign with the Aquarius Meditation.